For medieval scholars to noblemen and townsfolk to adventurers, a proper under layer is a must when it comes to dressing the part. Add authenticity and comfort to your medieval and fantasy looks with the Robertus Linen Undertunic. 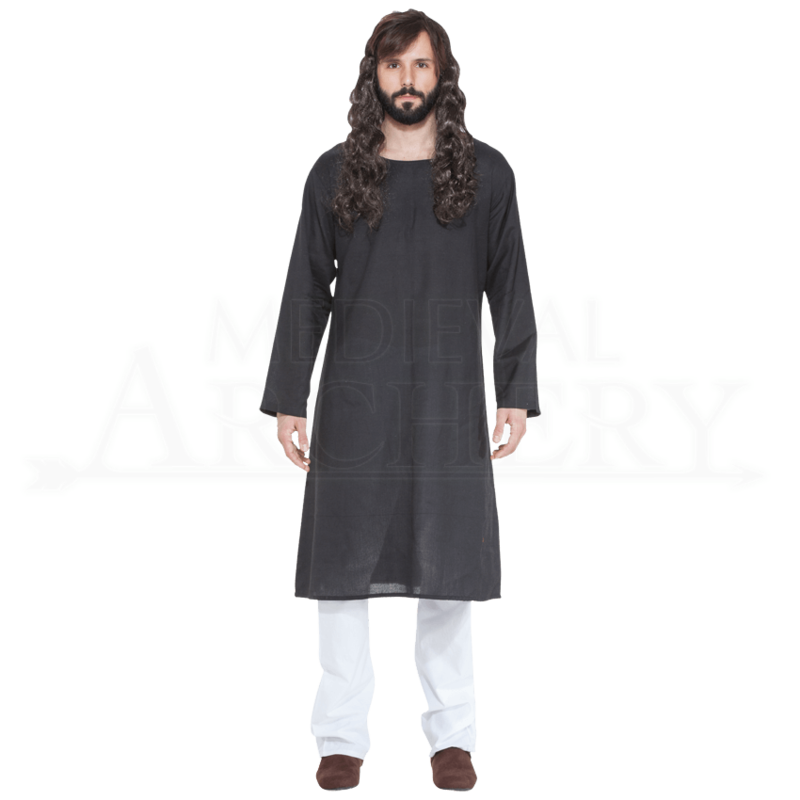 Easy to wear with its loose, lightweight form, this long-sleeve mens under tunic has a scoop neck and ends at about knee length. An ideal layering staple in reenactment wardrobes of all sorts, this essential medieval underdress is just what you need to take your historically inspired persona to the next level. Wear it as the base layer underneath all your outfits, or simply wear it with pants as an effortless and breezy tunic.